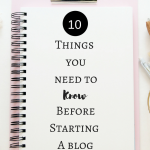 December 13, 2017 By Morgan M Woods 1 Comment This post may contain affiliate links. Christmas is my favourite time of year but December always goes way too quick for my liking! Before you know it the big day is upon you and (if you’re anything like me!) You’ll start to stress about all the things that you may have forgotten to do. This can lead to over spending and poor mental health. 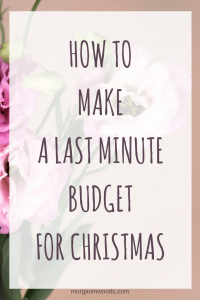 Here’s how you can make a last minute budget for Christmas. 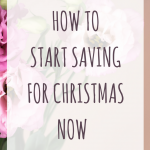 This year I started saving money in June for Christmas. This has taken so much of the stress out of Christmas shopping because I have already set my budget and I got organised. Whereas in previous years I ended up spending a fortune last minute because I was so unorganised. I would just splash out, especially on the kids and half of what I bought would end up not getting played with and later went on ebay. Last year however we were heading into December with no money at all for Christmas. 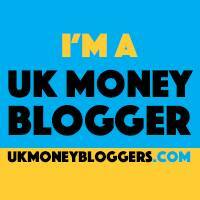 I managed to make enough money from matched betting to give us a budget of £300 for everything. We had the best Christmas to date so we chose to stick to a small budget again this year. Although we weren’t particularly organised last year, because everything was paid for upfront we had no extra debts to pay off in January. This meant we didn’t have the stress of bills coming through in the new year and meant we got 2017 off on the right foot. If you’ve got this far and just don’t know how your going to manage Christmas don’t panic! There is still time to get sorted this year and remember that your presence means more than presents. 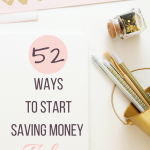 If you struggle with budgeting in general throughout the year also check out my free budget planner. 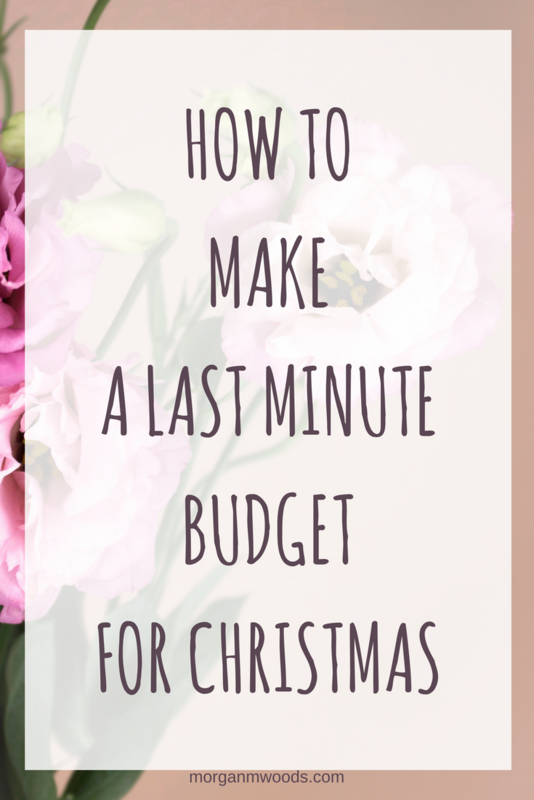 Here is how to set a last minute budget for Christmas. If money is an issue then let people know you just can’t afford presents this year. A batch of biscuits, iced and wrapped up individually can make a lovely homemade gift. Other alternatives could be mince pies, brownies, gingerbread or anything you can make from what is already in your cupboards at home! Last year I asked my children what their ‘top toy’ would be for Christmas. The one toy that they would be so upset if they didn’t get it from Santa. I then made sure they had that ‘top toy’ and a couple of others. Funnily enough no toys got left unopened last year and my children got what they wanted and were thrilled! 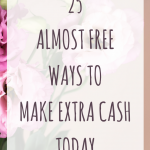 There is still time to make extra cash before Christmas! 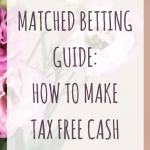 Have you tried matched betting yet? It’s how I paid for last years Christmas. This year Amazon gift cards earned from surveys have been a great help. 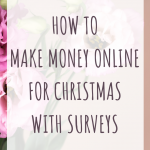 Check out some survey sites if you haven’t already. If you make any purchases online check if they’re eligible for cashback before you checkout, try Topcashback or Quidco. Don’t forget to use your cashback phone apps. Last year we picked up some free mince pies and roast potatoes from Checkoutsmart and Shopmium. You can currently pick up a free bar of Lindt chocolate on the Shopimum app by using my referral code AEAEAHCN when you sign up. If you have a Nectar card, ClubCard or any other store reward cards check to see if you have any rewards that can be used. If you know what you want then shop around for it. I always do a quick price check before I make any purchases. Not only is it good for the environment but you also save some cash by reusing last years gift bags, bows and ribbons (if they are in a suitable condition). Last years Christmas cards can also be made into gift tags, this also doubles up as a fun Christmas craft for kids! Stick to what you know will get eaten. Christmas cake in our house always gets wasted and none of us really like turkey so they are 2 expenses we cut out. Instead, we make biscuits or a plain sponge and decorate it all Christmassy and we choose chicken or gammon as our meat. We used to buy way too much food at Christmas and would end up eating it through January and beyond so we have cut right back. Don’t forget to look after yourself as well during the festive period, try to relax and have fun! I know it’s sometimes easier said than done but try to make a little time for a bath or a walk or whatever you enjoy doing. Thank you for this article! This year for me was a blur and I’ve been juggling 3 jobs just to make ends meet while my husband is dealing with unemployment. It will definitely help. Thanks again!